A woman’s period has been a notoriously taboo topic. Women go to extreme lengths to hide tampons and conceal period symptoms. Because of this, there is limited research on the relationship between periods and exercise. A recent study out of St Mary’s University in Twickenham, England is looking to change that. The university partnered with FitrWoman and analyzed responses from over 14,000 female Strava members from around the world in order to gain a better understanding of how women feel about exercising on their periods. Many athletic women know that exercising can actually have a very positive effect on symptoms associated with their periods, and this study confirmed that. Seventy-eight per cent of women reported that exercise decreased discomfort associated with their cycles. Despite this finding, a shocking number of women had never received any sort of education on how exercise would effect their menstrual cycle. 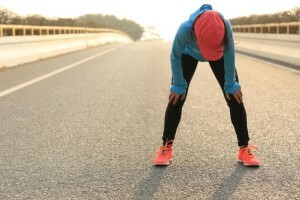 According to researchers, “70 per cent of women reported receiving no education about the relationship between their period and exercise.” Even more surprising is that among women with an athletic coach, 81 per cent have never discussed the impact of their period on training or racing, despite the fact that many women feel their period negatively impacts their performance, with 69 per cent of women altering their workout routines to accommodate their periods. With a period being so critical for a young runner’s development, this study serves an important role in opening up the conversation around the menstural cycle and exercise. By continuing to speak openly on the topic and study its athletic implications, women will begin to better understand how to cope with side effects and improve strategies around period management and athletic performance.